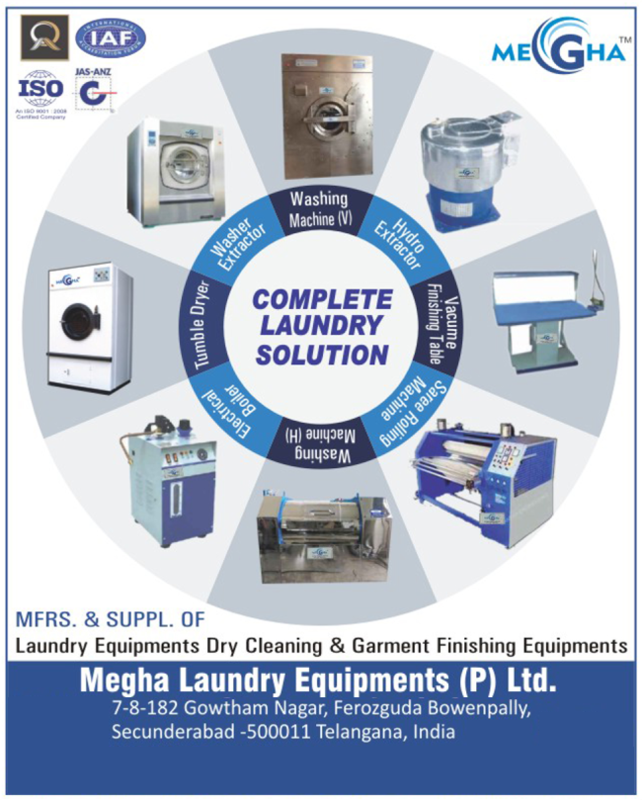 Megha Laundry Equipments (P) Ltd. Laundry Solution, Laundry Equipment, Dry Cleaning Equipment, Garment Finishing Equipment, Washing Machine, Hydro Extractor, Vacuum Finishing Table, Saree Rolling Machine, Electrical Boiler, Tumble Dryer, Washer Extractor as an active Manufacturer, Supplier, Dealer, Distributor, Trader and Seller etc. (*Importer/Exporter/Service Provider).